As part of my experiment to self-host web services I recently installed Piwik. 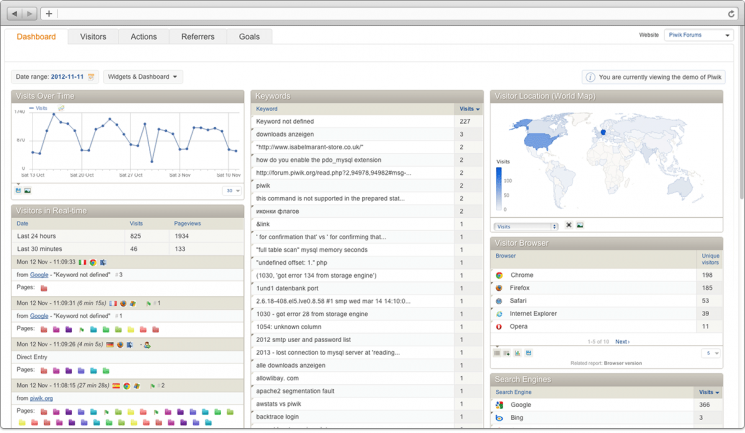 Piwik is an amazingly feature rich web analytics application. I didn’t expect much compared to the might of Google Analytics but so far I’ve not missed any features. I had a bit of fun getting it to work from SSL based sites. The trick is that you’ll need a signed certifcate on both domains - the originating site and the domain you’re running Piwik on.